Asian Agri’s drive towards the adoption of more sustainable practices is not limited to its operations. 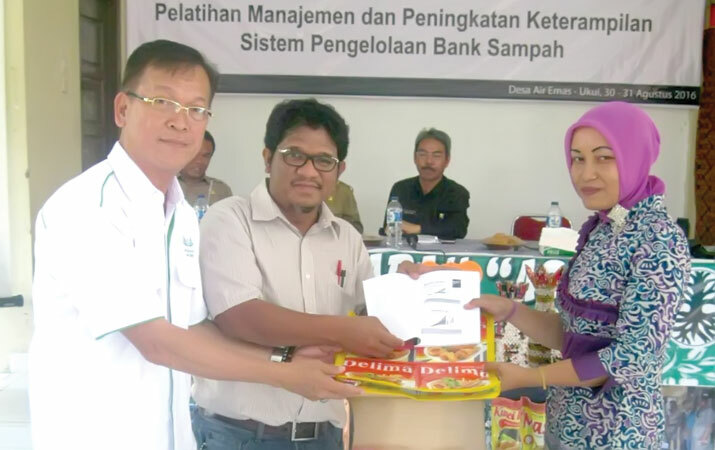 The palm oil producer joined forces with Tanoto Foundation and the Pelalawan Environment Agency (Badan Lingkungan Hidup Kabupaten Pelalawan or BLH Pelalawan) to strengthen waste management in Air Emas village, Ukui Pelalawan – introducing “trash for cash” initiatives to encourage recycling while improving the community’s disposable income. According to Asian Agri’s Sustainability & CSR Head Welly Pardede, many would believe garbage is dirty and damaging to the environment. With creativity, however, garbage can be converted into useful products that can be sold for money. 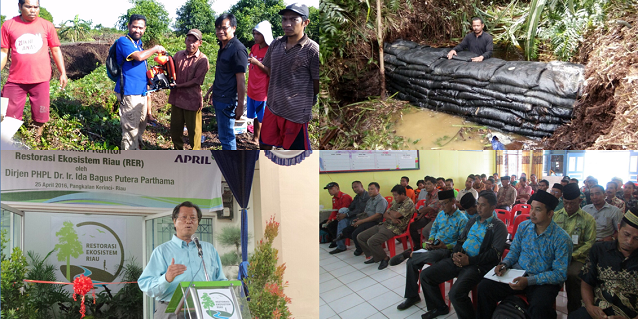 In working with Tanoto Foundation and BLH Pelalawan, Asian Agri demonstrates how collaboration between a private company, a philanthropic organisation and a government agency can create outcomes that are good for the communities and the environment. 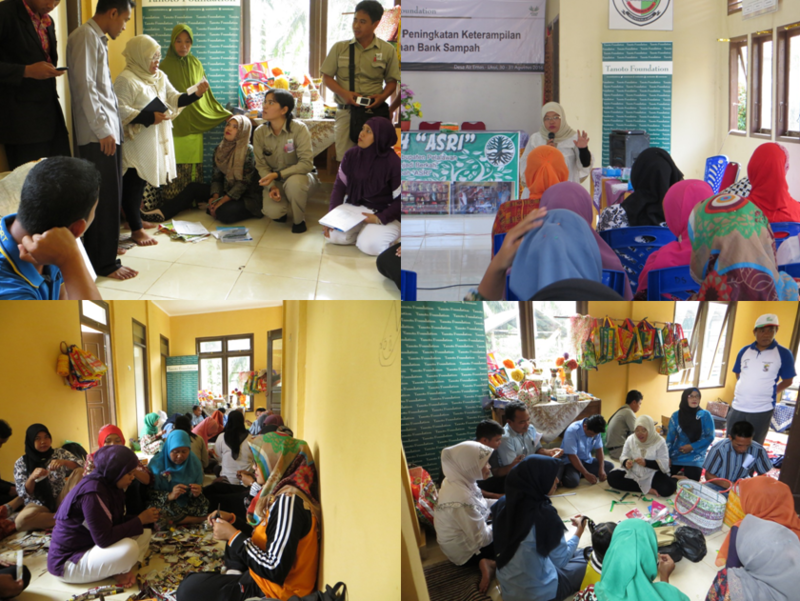 Through the awareness-raising and training on Aug 30-31, 2016, residents of the Air Emas village can now tap into their creativity and build more recycled products, with prospects of earning additional income. Handicraft made from recycled materials. This partnership is no stranger to implementing good waste management practices at the community level. 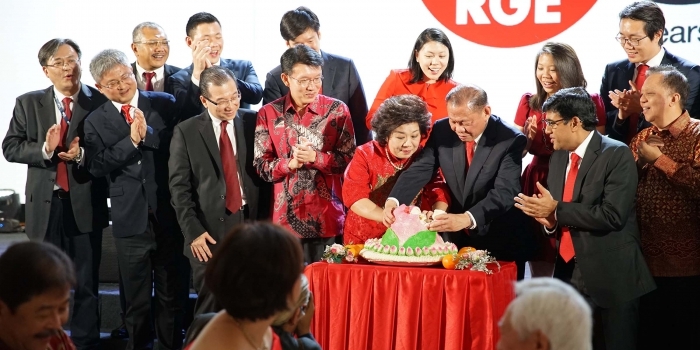 In 2015, they set up the Asri Trash Bank in Air Hitam village. Villagers deposit their waste and receive money in return. Every month, the Asri Trash Bank manages 1 to 1.5 tonnes of waste and generates for the village IDR 2-2.5 million (USD 150-190). 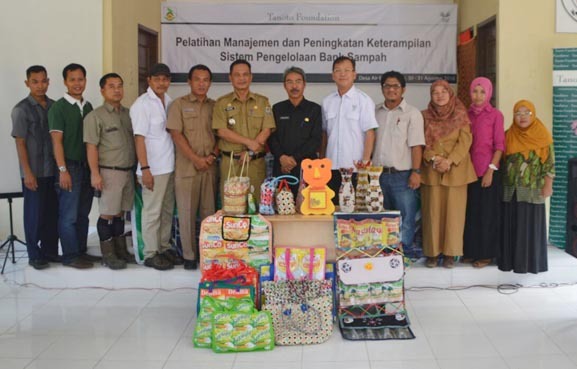 In addition to receiving money from depositing their garbage, some residents have also started to recycle materials into handicrafts, a trade that generates a combine yearly revenue of IDR 2 million. Asri Trash Bank Director Satori, Ukui District Head Basyarudin and Air Hitam villager Yusnita all expressed their gratitude for the guidance and support provided by the partnership. All signs point to a positive step forward for all stakeholders: The training sessions have been well-received, the environment is taken care of, and creative recycled products have proven to be a viable additional source of income for the community.